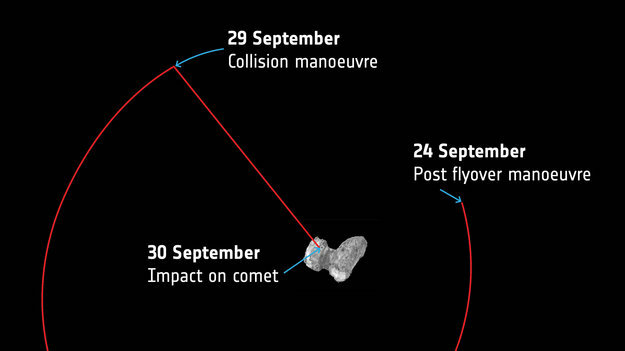 The European Space Agency’s Rosetta probe will plummet to the surface of comet 67P/Churyumov–Gerasimenko on Sept. 30th, 2016. Rosetta’s “final destination” is a region of several active pits, locations from where the comet’s dust jets originate. During decent Rosetta will be imaging interesting lumpy structures located in the walls of the pits, which scientists believe could be the “cometesimals” that assembled to create the comet in the early phases of solar system formation.